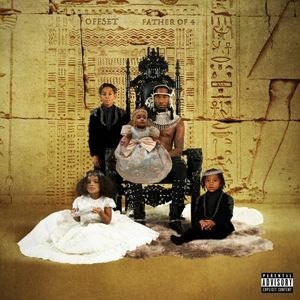 I really enjoyed this album and of the three recent(ish) independent albums by Migos members Quavo, Offset, and Takeoff, I think I like this one the best. I honestly thought this album would be too homogenous for me to enjoy but Offset seemed to stretch a bit and have a decent variety of subject matter and features. Favorite tracks after 1 listen were Father of 4 and Quarter Milli.